Nicaragua 2018 is officially open for booking!! Double occupancy rates begin at $2000/person. 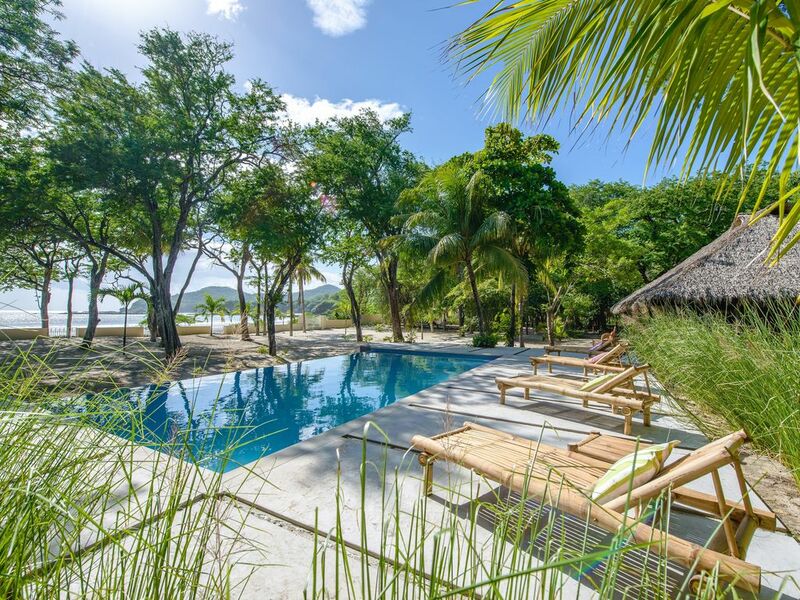 If you are interested in joining a wonderful group of practitioners for a week of yoga in a private beach-side villa with our own chef and pool, email me to register. Travel details are below, and of course I am always here to help if you have any questions. Let the countdown begin!! I could not be happier to help you make this beautiful villa your home for a week of yoga, swim, surf, and relaxation!! Here is what you need to know about your upcoming trip. Final payments are due December 1, 2017. No refunds will be given after that time, unless we can find another attendee to fill your spot. Between now and December 1, you can make payments in any increments you like. From Chicago, my recommendation is to take the direct flight on United Air to and from O'Hare to Liberia, Costa Rica. From Liberia, CR, we can take a short flight on the regional airline Sansa to ECI, where our driver will pick us up. Sansa flights to ECI are also available to and from San Jose, Costa Rica. If you are not traveling through/from Chicago, please do your best to coordinate your arrival into ECI for around 4pm on Sun, Jan 7, and your departure from ECI around 10:30am on Sat, Jan 13 so that we can ride together from ECI to the airport. Please let me know as soon as you have booked your travel. If you have trouble or need to make alternative arrangements, please let me know! -The website is very clunky and difficult to use. Book when you're in a patient mood. -Luggage weight is limited to 30lbs per passenger, so pack light! Don't worry, you won't need much other than your yoga clothes and swimsuits! -You do NOT need a visa to travel to Nicaragua from the US. However, you WILL need to purchase a tourism card at the airport for $10. Exact change is recommended.